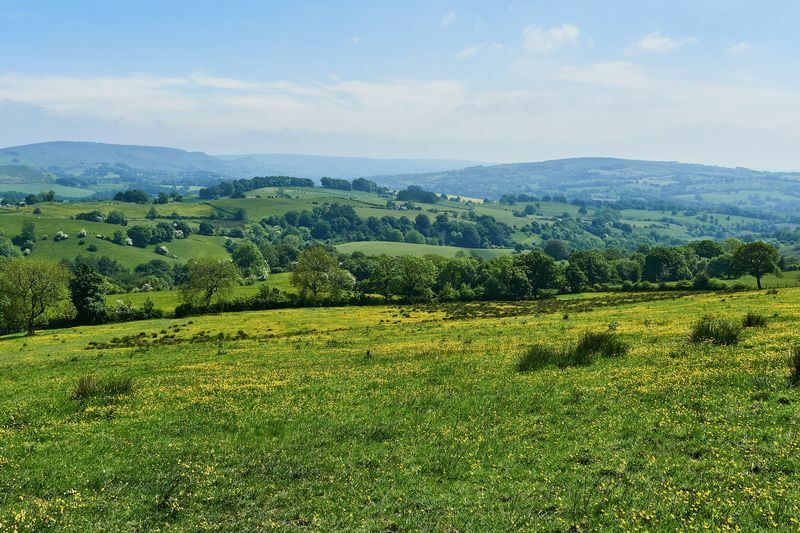 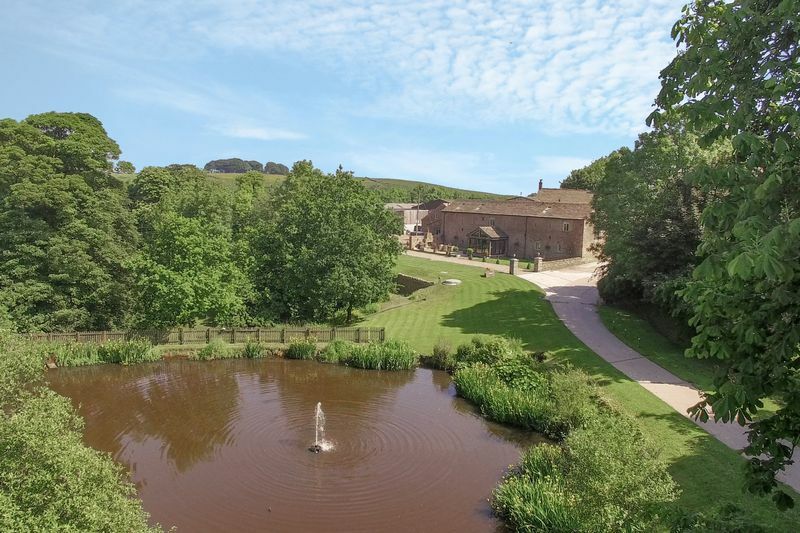 A small estate with two substantial houses, extensive equestrian facilities, farmland and outbuildings, standing in about 115 acres in the Peak District National Park. 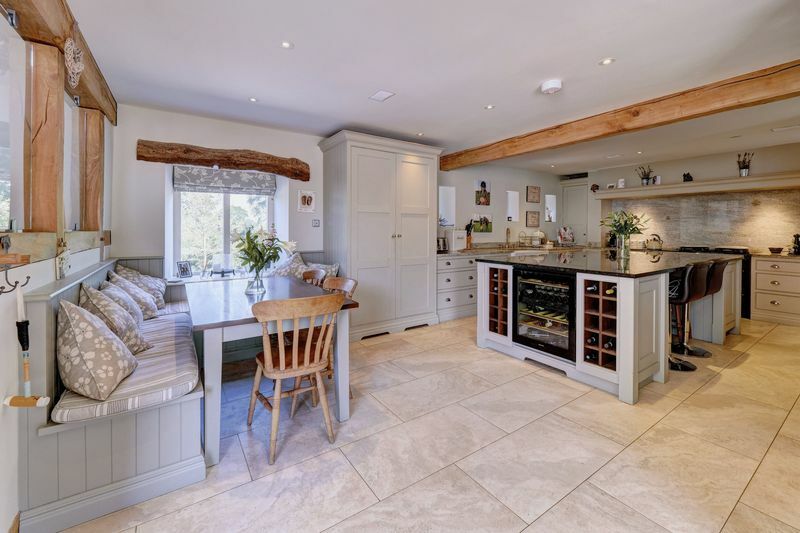 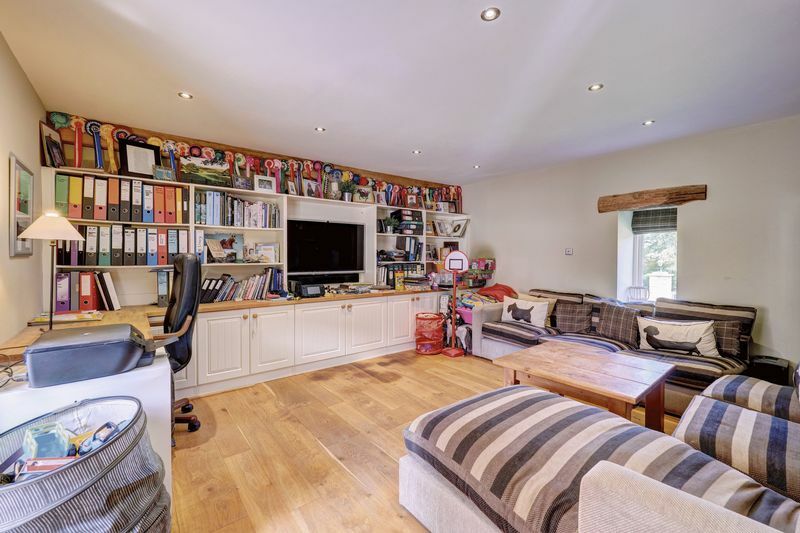 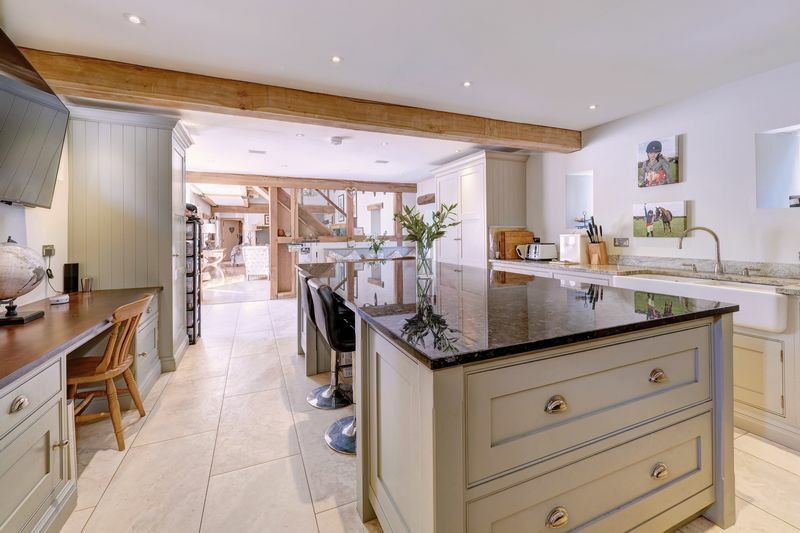 The two properties consist of Butterlands Barn (the larger of the two), with three large reception rooms, garden room, huge kitchen/breakfast room, six bedrooms and four bath/shower rooms. 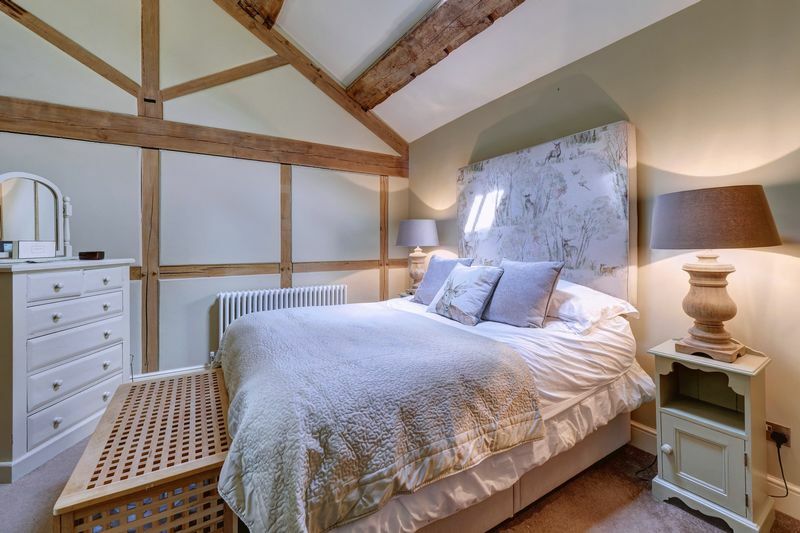 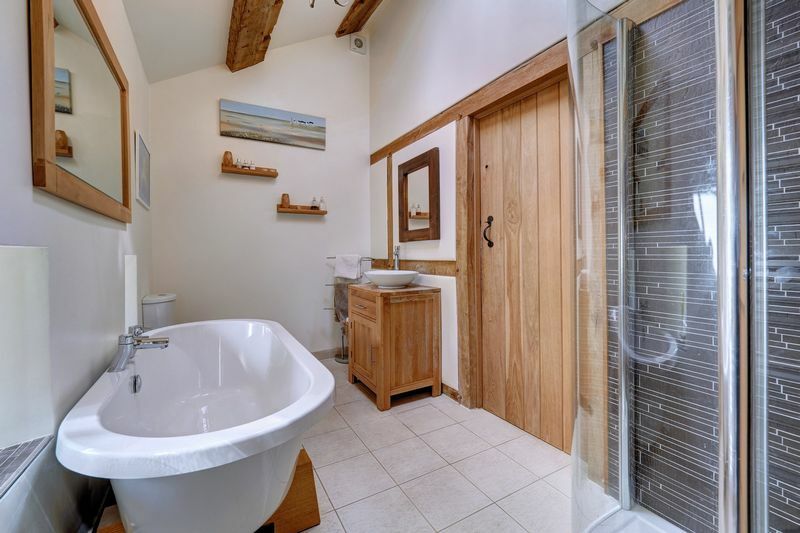 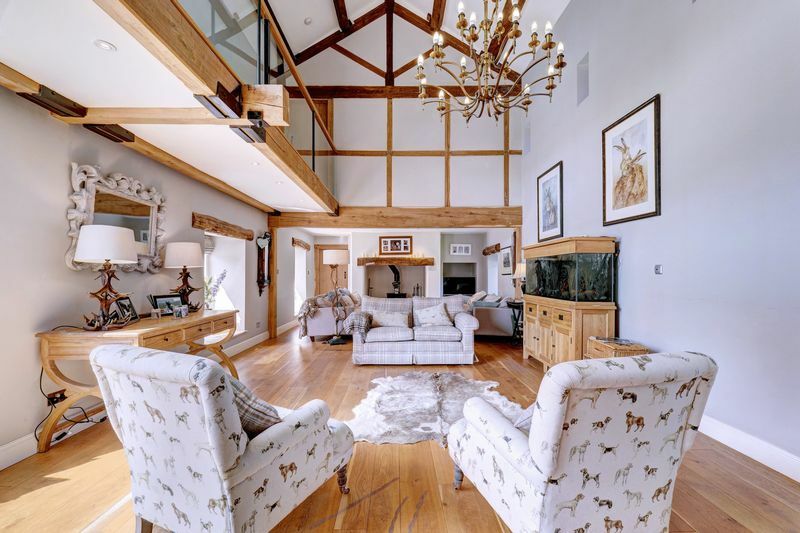 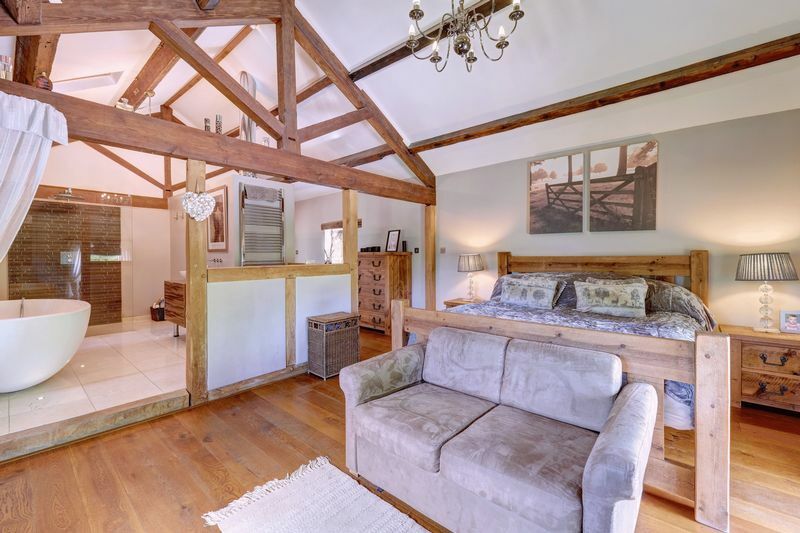 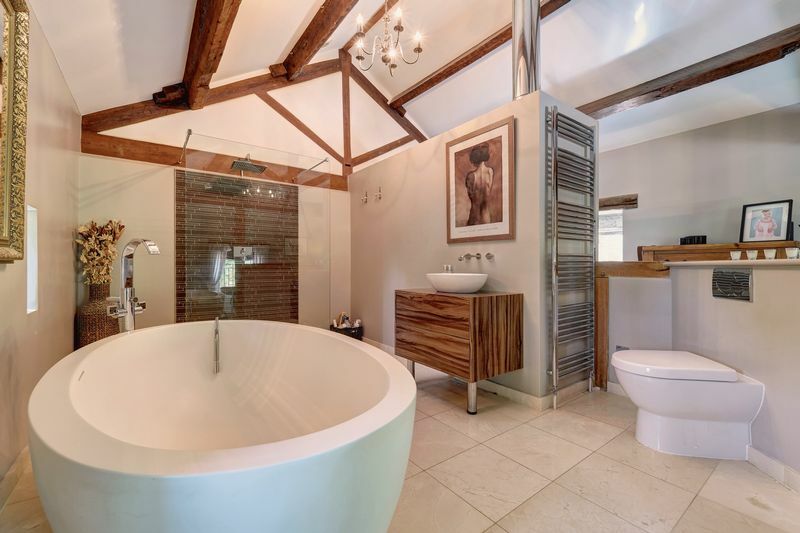 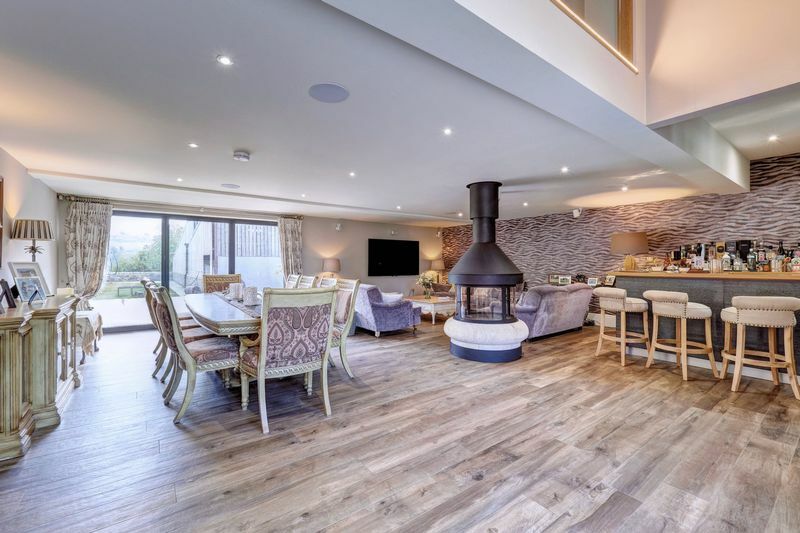 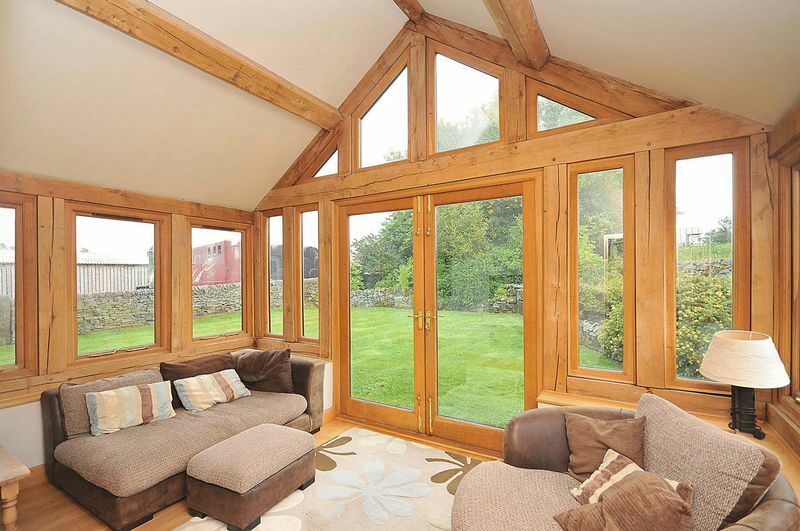 As the name suggests, the barn was converted by the current owners with real flair and imagination, to present a very light and contemporary home, whilst keeping such features as exposed beams and roof trusses. 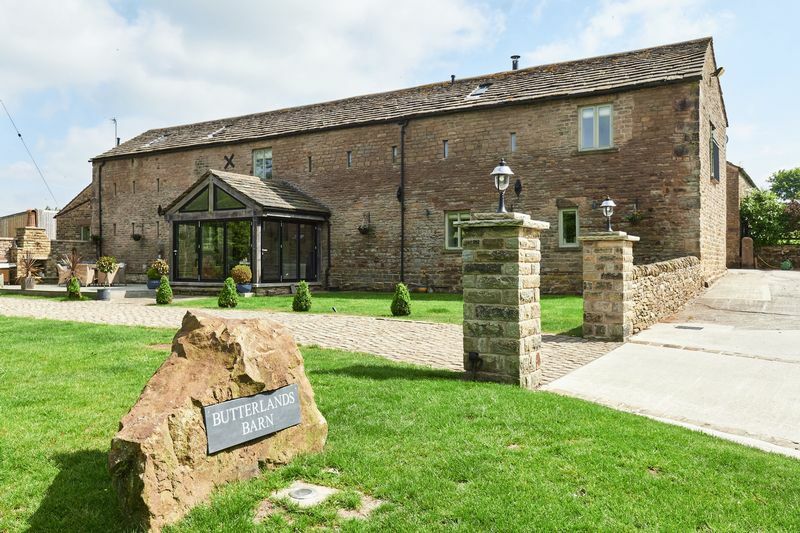 Butterlands Farm House is a more traditional home, having three reception rooms, kitchen/breakfast room, garden room, three bedrooms and family bathroom. 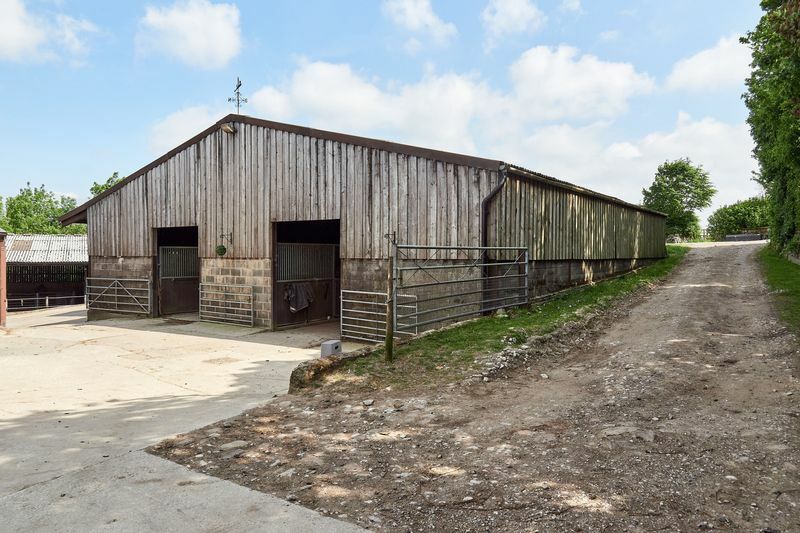 Behind these two properties is an extensive range of steel portal-framed buildings, which are in good condition, supporting the equine and farming enterprises. 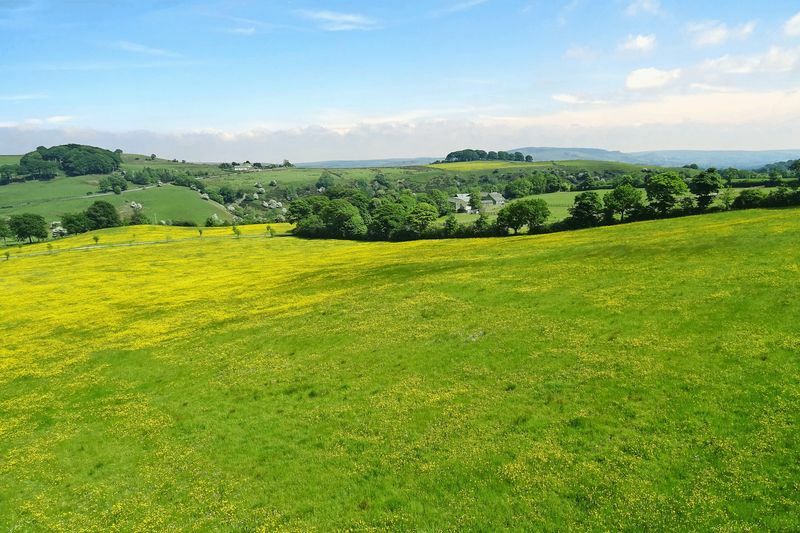 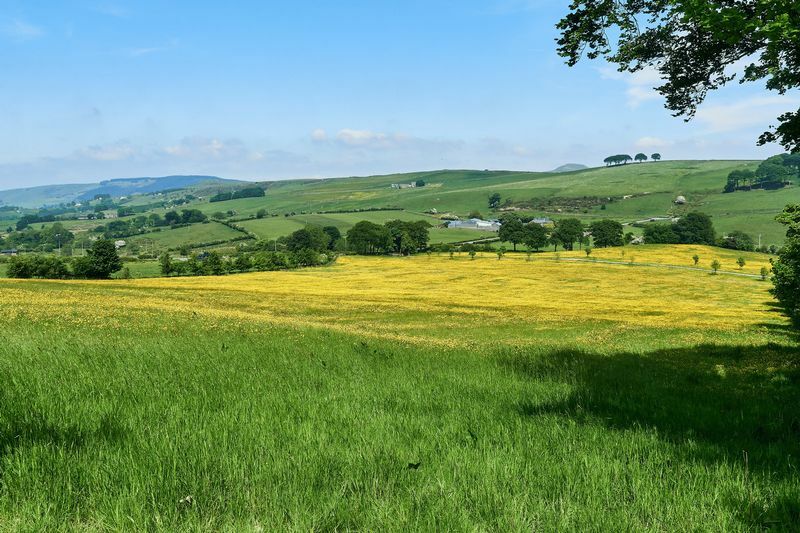 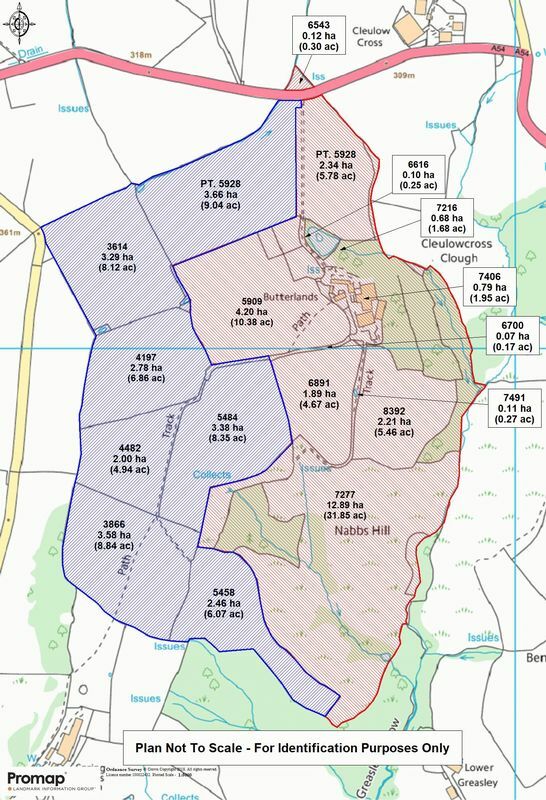 The properties and farmyard are surrounded by paddock land and farmland, with the smaller paddocks lying by the properties being used for the horses, whilst the larger, more extensive farmland is used for livestock. 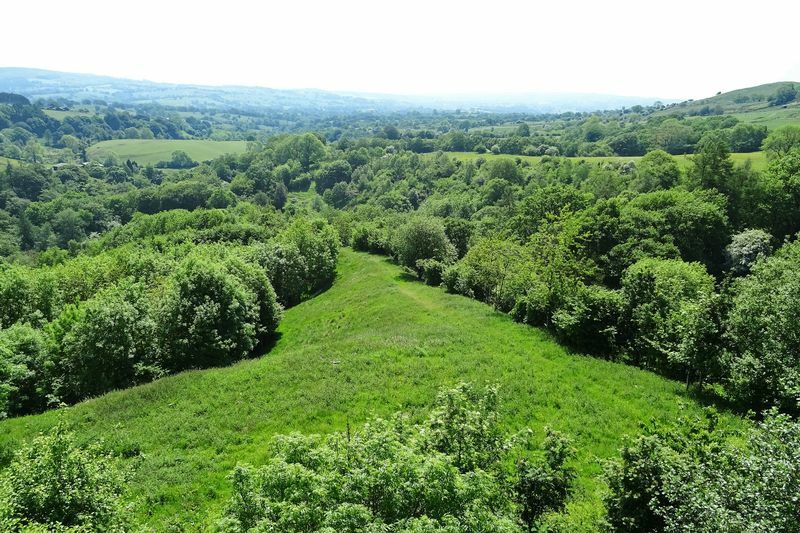 There are two areas of mature woodland. 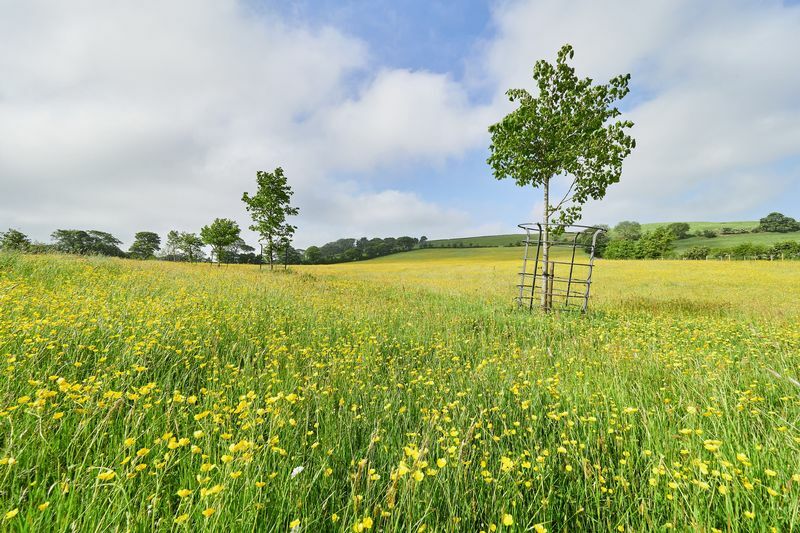 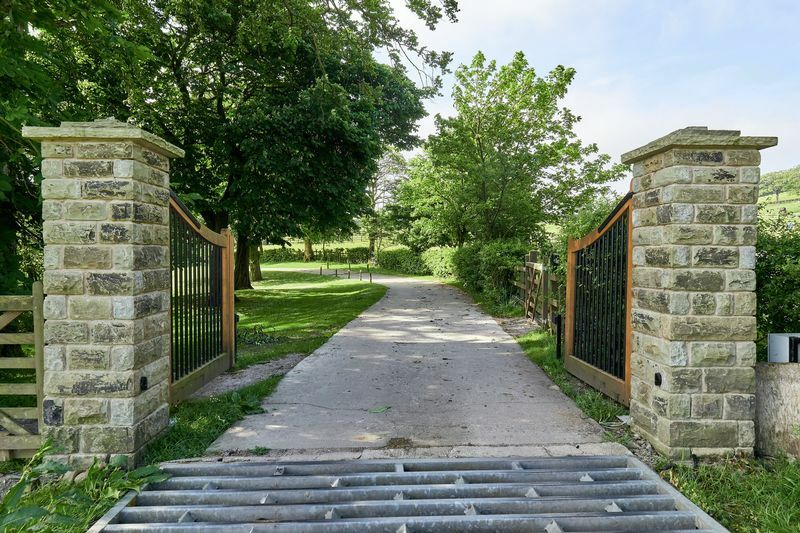 A gated entrance, set back off the road, leads over a cattle grid, with an impressive sweeping tree-lined drive running through the paddock land. 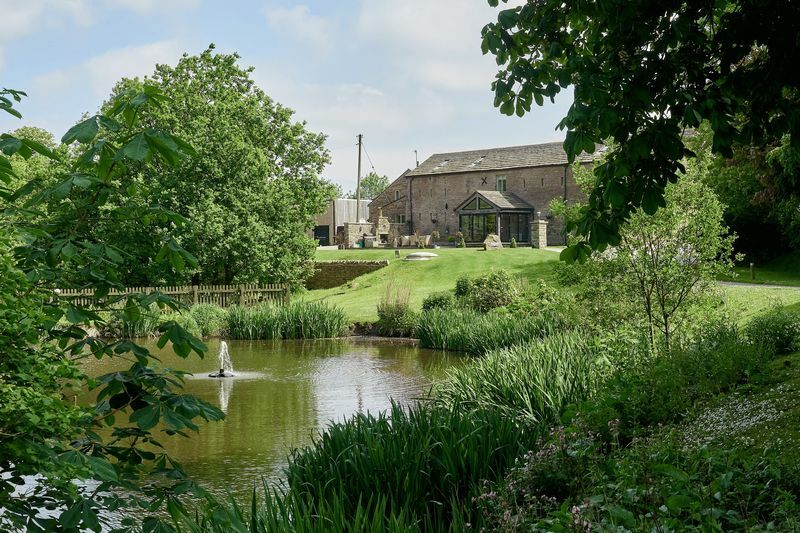 The drive leads to a second oak and wrought-iron bespoke electric gate, which continues past a small lake to the left, bending round to the left to a granite set drive to the front of the barn. 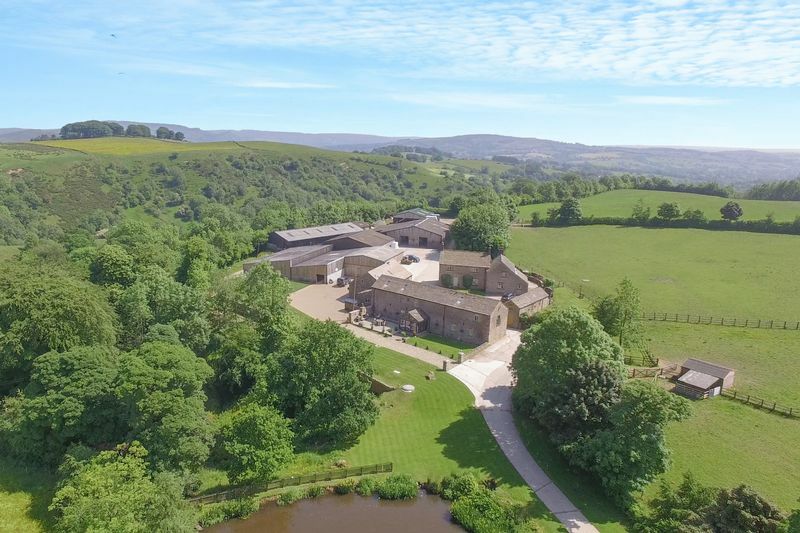 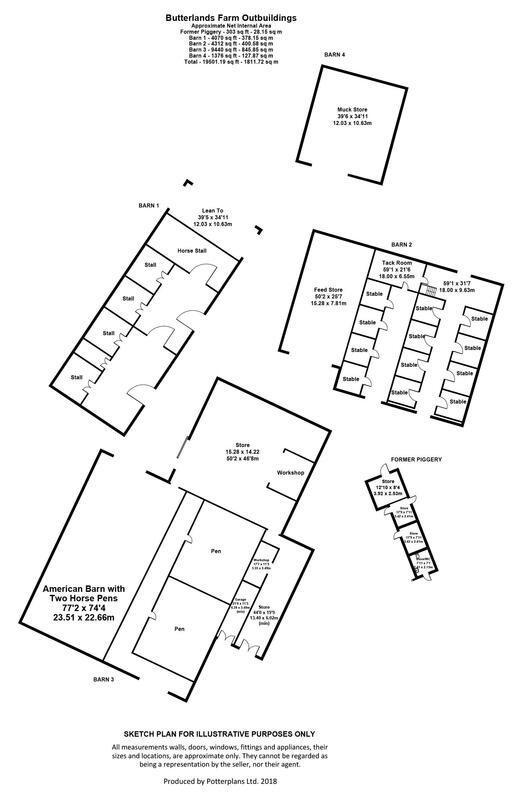 The main parking and turning area is situated at the gable end of the barn and to the front of the range of outbuildings. 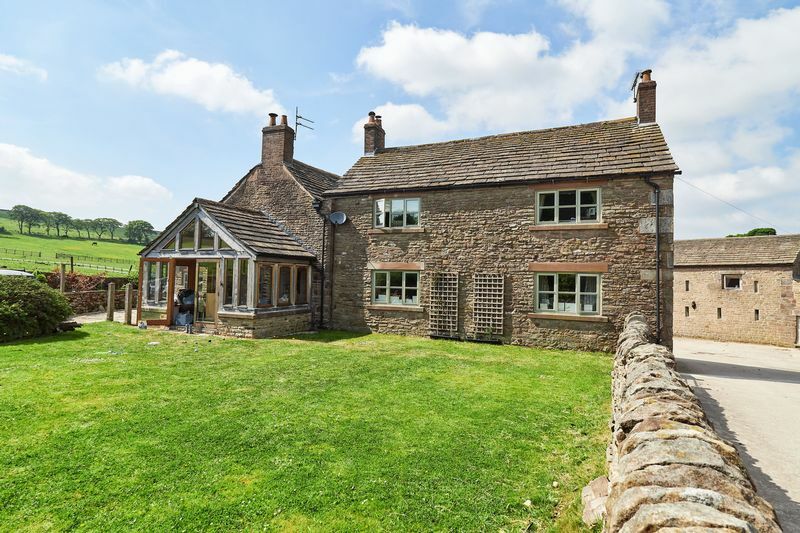 A raised deck with stone walling abuts the front elevation of the barn and is accessed off the garden room. 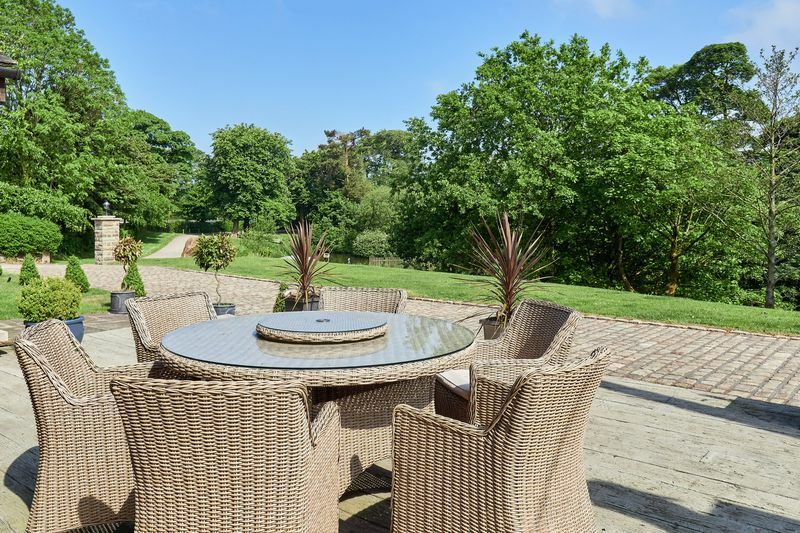 This area is an ideal al fresco dining area, with lovely views of the lake. 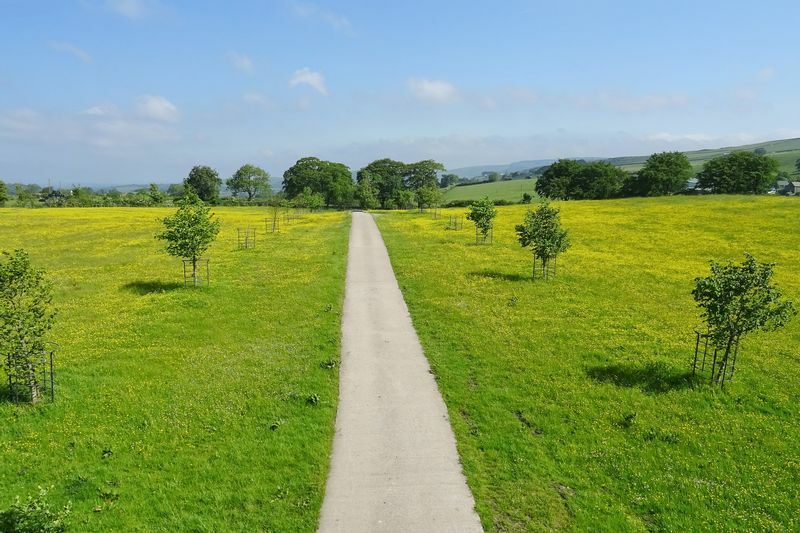 Manicured lawns lie to the front and side, with breathtaking views of the Peak District forming a stunning backdrop. 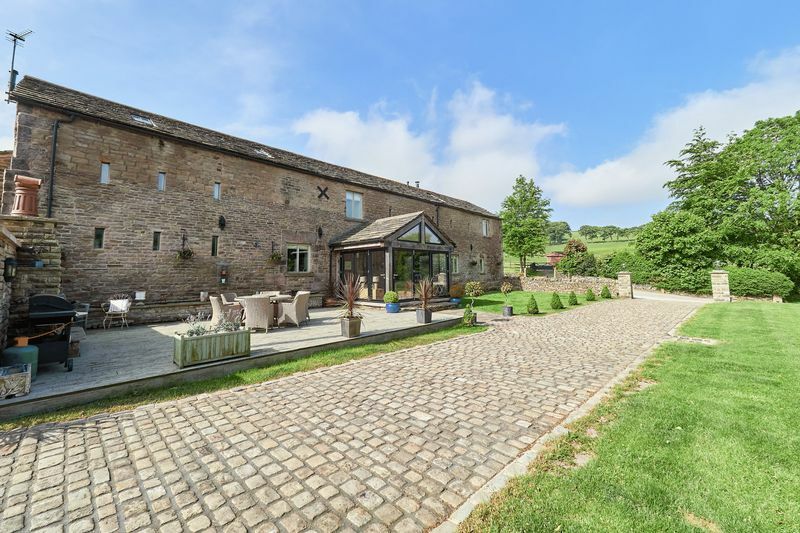 The farm house shares the same drive but lies behind the barn, with a large concrete paved area in between the two properties. 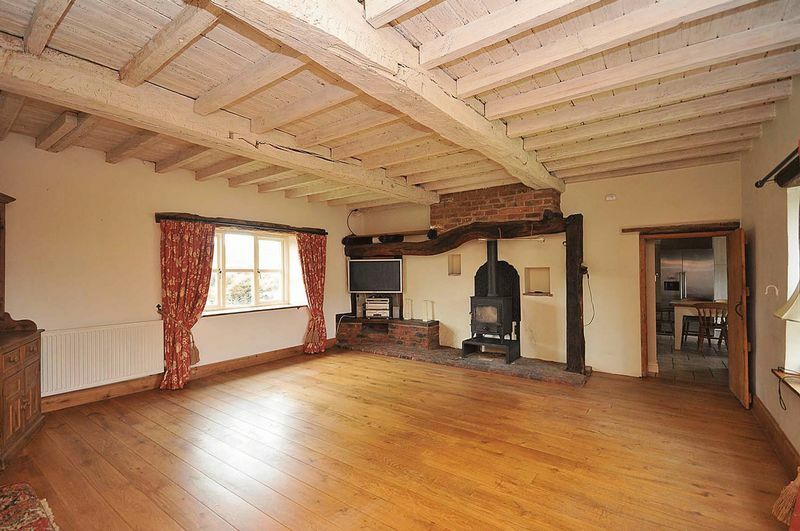 The farm house has a small walled garden with stone terrace and gently sloping lawns to the rear elevation. 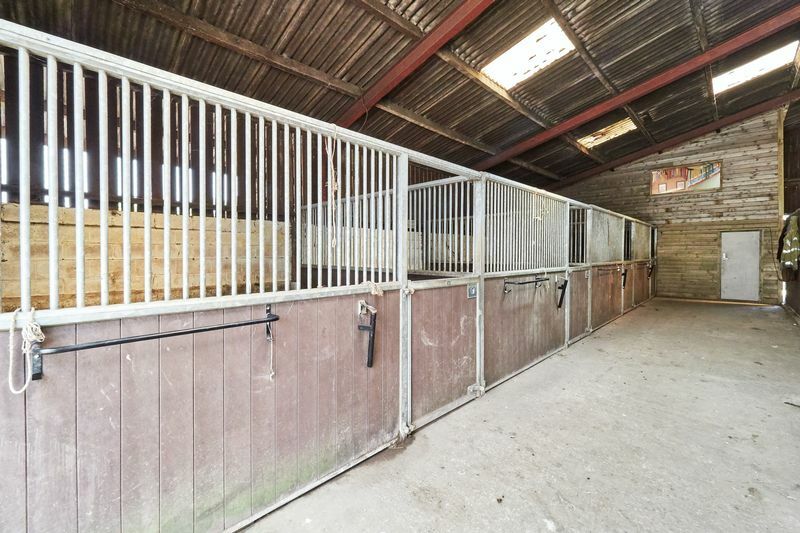 The outbuildings and equestrian facilities are surrounded by a large concrete yard, providing access to all, all year round. 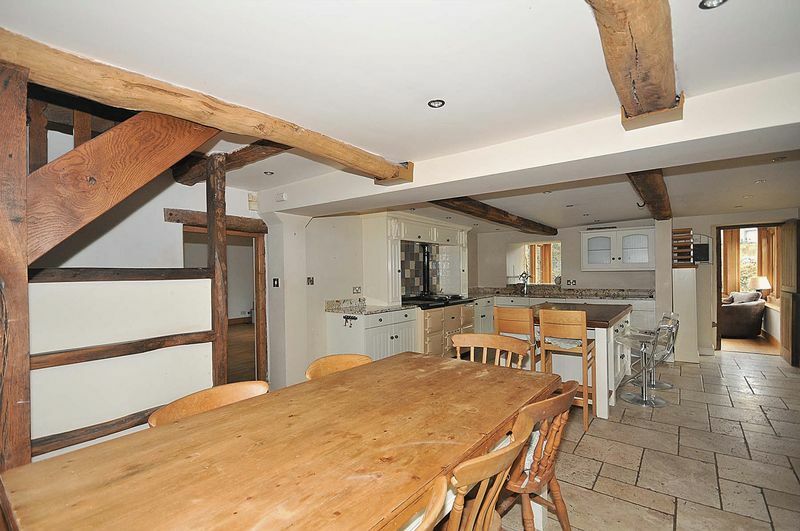 EPC Rating: Butterlands Farm - F. Butterlands Barn - C. Butterlands Butchery (incorporated within Butterlands Barn) - B. 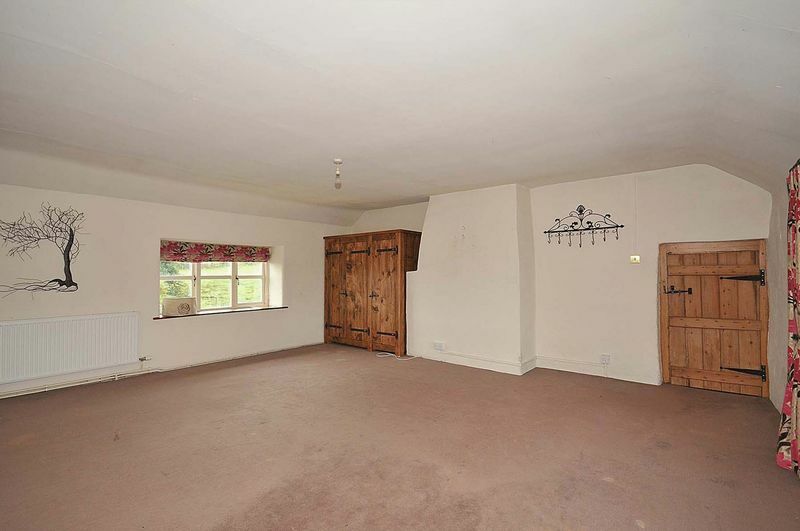 Entrance hall, downstairs w.c., three reception rooms, garden room, breakfast room, utility room, dog/boot room, six double bedrooms (two en-suite), two family bathroom/shower rooms, landscaped gardens, small lake. 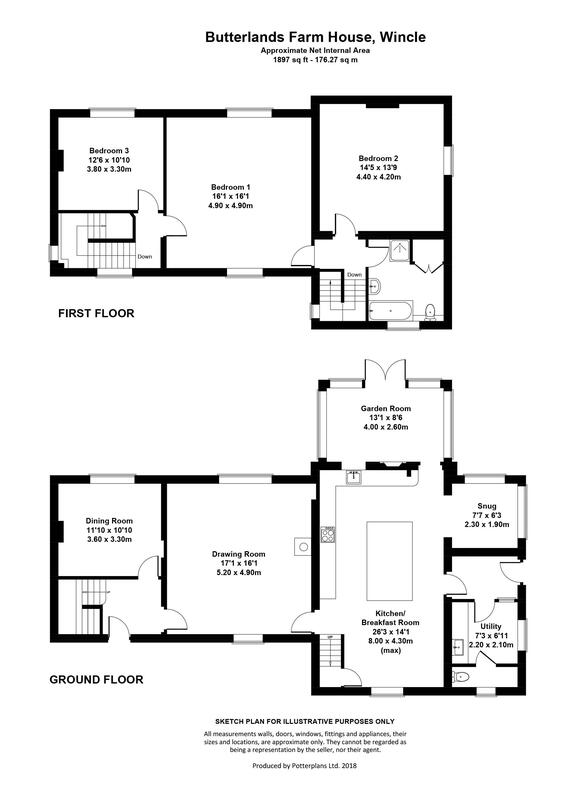 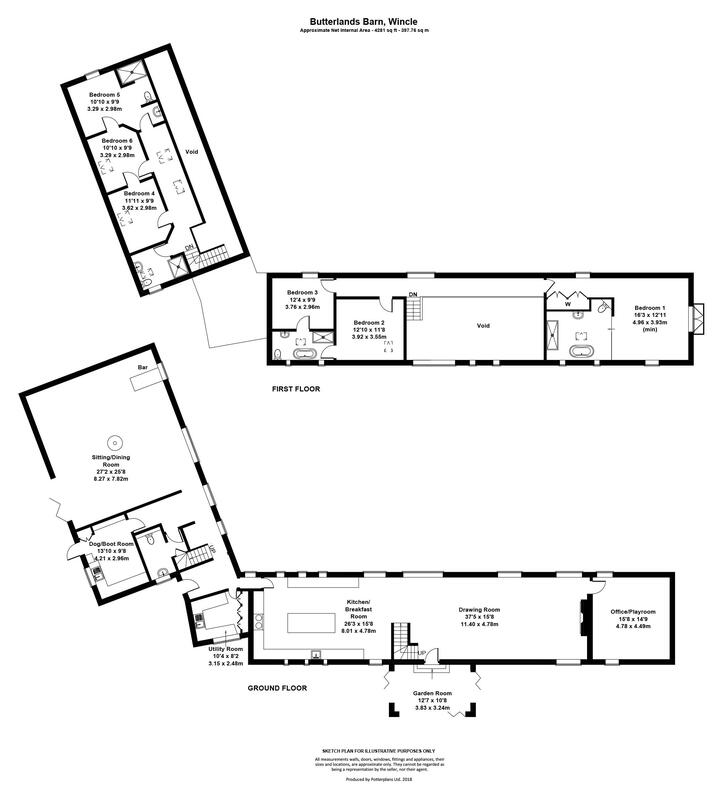 Entrance hall, downstairs w.c, three reception rooms, Garden room, breakfast kitchen, utility room, three bedrooms, family bathroom, landscaped gardens.